← A Fun and Fragrant Summer’s Day Out in London, Thursday 24th July 2014 – And A Giveaway! Every summer I fall again for the lovely, warm, intoxicating and tender scent of orange blossoms. Last year Parfums de Nicolai Eau de Soleil was my drug of choice, this year I found something that is such a sensory pleasure that I just had to share it with you. Duft und Kultur is a shop in Vienna that harbours many treasures and a trip there is always nice, but this time I was especially lucky. I just went by to smell the new summer scent by Patricia Nicolai, Musc Monoi (not my cup of tea btw, it just has a too big whallop of calone in the mix that makes me uneasy and smelling like the local pool, the mini-dose of monoi doesn’t stand a chance against it on my skin) and to pick up my favorite lip balm by Diptyque when the lovely SA was so generous as to pack a selection of samples of the Diptyque body care line, L’Art du Soin, into my bag. In the evening I tried the Lait Frais, the fresh body lotion and, people, I have never spent a more relaxing night of sleep (well, maybe not never but not in a very long time!). The lotion is heavenly scented with a soft, but persistent sweet orange blossom that is nothing short of wonderful. Aside from the fragrant pleasure, the lotion is very nice, it sinks in quickly but is very caring and rich for my skin which is on the drier side. Pure sensory delight. After sleeping in fragrant bliss the entire night and still waking to the remnants of this delightful ointment, I hotfooted it back to the store to indulge in the full sized bottle. 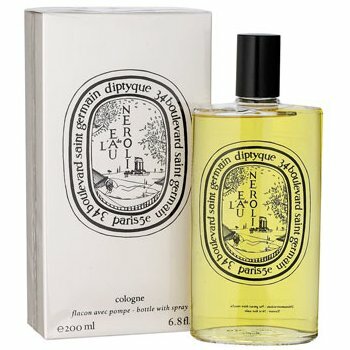 For good measure, I tried the L’Eau de Neroli, the matching cologne of Diptyque’s Les Hesperides line. I walked home on an orange cloud of bliss. L’Eau de Neroli was created in 2008 by Olivier Pescheux and includes notes of bergamot, petitgrain, verbena, tarragon, neroli, orange blossom, beeswax, white musk and cedarwood. Now hours later, sitting here and writing about it, I am still surrounded by the warm embrace of the musky drydown, blissfully happy. L’Eau de Neroli is not a complicated scent (you would have guessed that anyway, wouldn’t you? ), but summer for me is not about complicated. I do not want to be distraced or put to work (as Undina would put it) by my perfume, I want it to be as light and carefree as I want to feel right now. L’Eau de Neroli does what is says on the package, it smells like neroli. Opening sparkly and brightly it segues into a warm and softly sweet orange blossom heart that fades into a woody musk made slightly creamy and even warmer by the delicate beeswax note. Right now that is all I want. This entry was posted in Citrus, Diptyque, Floral, Fragrance Reviews and tagged Body Lotion, citrus, Diptyque, floral, Fragrance, Orange Blossom, Perfume, Review, skin care. Bookmark the permalink. I was put into a white, dreamy state of summery florality just reading that. So glad you share my elation, dear Neil! Good luck! I hope you get to try them! Simple and soothing sounds great to me. I love orange blossom and beeswax so must check this out. The whole range if body care is divine. I’m having a whole Diptyque moment right now and loving it. Oh how gorgeous! May I ask – is this a particular orange blossom version of Lait Frais, or is Lait Frais orange blossom scented by default? If the latter, then I had samples of this lotion and think I gave them to Anka and/or Sabine or Blacknall(?) in a swap package, so it would be good to know what they thought of them. Meanwhile, I am currently testing a trio of neroli scents by Au Pays de la Fleur d’Oranger, and two of those are winners at the moment. From the notes of the Diptyque I feel sure I would love that one too, so thanks for the heads up. I am liking more and more from the Diptyque line as the years go by. The Lait Frais is scented like that by default. The body butter, Creme Riche, is scented with rose and amber, very lovely too. I feel the same as you about Diptyque, really lovely stuff. Good to know that you are enjoying the Au Pays de la Fleur d’Oranger. Must be on the lookout for the line in Italy. Thanks for the heads up, V.
B. I think I gave you duff gen there – I may only have had samples of the ‘Lotion pour le corps’ (no mention of ‘frais’) and the ‘Voile Lacte’. But I am definitely intrigued by both these products now. I forgot to mention that a few summers ago, I was in Gorinchem in Holland and my historic B & B had orange blossom scented toiletries, all of which were glorious. I tracked down the source, but it was ‘trade only’ – was tempted to set up an account and order a gross of each sort or whatever the minimum order turned out to be, hehe. Assuming I had managed to persuade them I was also a B & B. 😉 So yes, orange blossom has had more of an effect on me than I first remembered! You gave it to me, Vanessa! I wanted to take the sample of Lait Frais to my next vacation as these are always so convenient to put in the luggage. But now, after reading Birgit’s enchanting review I was of course curious and had to tear it open right away – and mmmhhmmm, it’s overwhelmingly beautiful!!! Oh, Anka, I’m so happy you love Lait Frais too! It is such a gorgeous discovery. I’m lookong forward to this treat every evening. Your comparison of the feel and mood it conveys to Unter den Linden is completely on point. Unfortunately they did not have any samples of the oils, but I hear good things about them and will definitely try them eventually. I too have been on the hunt for the perfect neroli – one of my favorite notes. Last summer you made a lemming of me, Birgit, and I blind bought Eau Soleil. I loved it! I have been slowly discovering Diptyque’s gorgeous treasures, I can’t wait to try this one! Off to find a sample! Sounds sooo pretty and graceful (like you!). 🙂 And the inclusion of tarragon as a note in the cologne is interesting. To me, that is the prettiest of herbs (and my favorite herb, actually). Ah, Suz, you’re so kind. Suzanne & Birgit, a friend of mine is a Frenchman who is an expert on sauces. Tarragon is his favorite herb. He uses it making his own mayo and it is delicious. Oh Anita, lucky you to have this gentleman as a friend! I’ll have to give this a try – making my own mayonnaise seasoned with tarragon. Thanks for the idea! I love orange blossom and neroli scents. I will have to look for these. And I need to find your prior orange blossom pick as well. Thanks for the review! Hi, for years I searched for an aroma that I remembered from childhood. I think that it must have been in a soap, and I remember sitting in church, paying no attention to the Priest, and just enjoying that lovely mystery aroma. 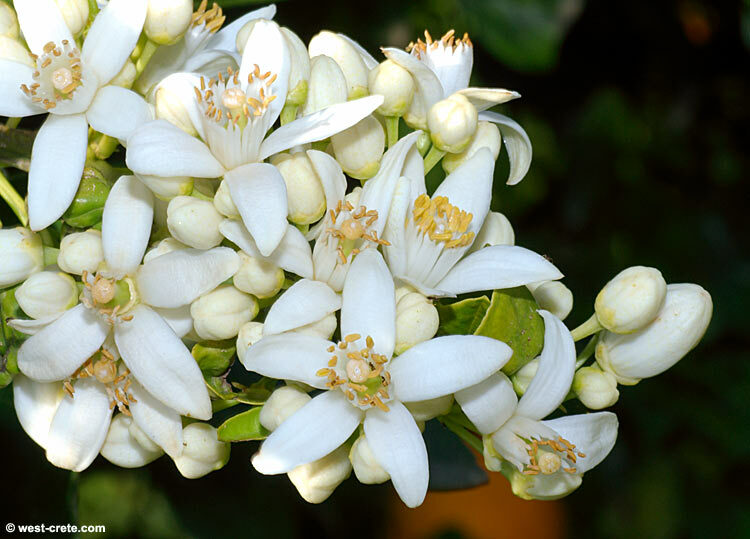 Finally I came across it – neroli! I thought that it was something lost forever, but there it was in an inexpensive lotion. L’Eau de Neroli is probably even better. Enjoyed your post and hope the rest of the summer is restful and pleasant for you.. So glad you found the elusive scent and cheap too! Have a wonderful summer too, dear Anita! Thank you for loyally reading and commenting, it really means a lot! I tried the lait frais on a really hot day, when I was feeling very tired (to be honest – my feet were hurting, so I sneaked some from the tester to rub in). It was heavenly! What a wonderful smell, comparable with a really great perfume. I was quite surprised that a lotion could smell that great! Lovely, lovely, lovely. 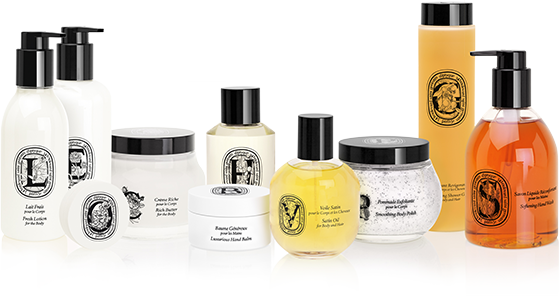 I have been using the powdered Diptyque facial cleanser and like it a great deal. I should try that body milk. It sounds divine. I just ordered the Diptyque Le Frais body lotion and I’m very excited! I’ve never gotten anything from Barney’s before. Thank you, Birgit, for opening up my world. That is really lovely to hear, thank you Penelope! Enjoy your Lait frais!